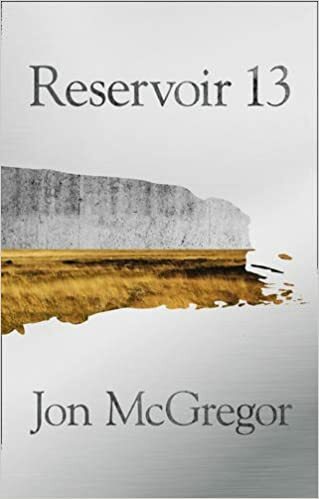 Reservoir 13 by Jon McGregor is about the aftermath of the disappearance of a 13 year old girl while on holiday. It is set in a small village to the east of and near Manchester. It is on the edge of the moors and has reservoirs nearby. The area is searched looking for the girl. The village gradually starts returning to its normal seasonal rhythms although the missing girl is not forgotten. As time goes by weeks turn into months and then into years. This becomes the tale of the people who live there or are associated with the village and the countryside around. The stories about the people vary from trivial to the more profound including separation and getting together, bankruptcy and farming. Among all this the story returns time and again to the disappearance. Was someone local involved? Did the local children of her age know more about it? There is a real charm to this book. The gentle changing of the seasons and happenings in the village have a pleasant rhythm to them. This really is a book to take some time over and savour. It is descriptive and thoughtful. The constantly recurring/underlying theme is the missing girl however this is really only a vehicle for the stories of the village. I did find the writing rather disjointed and awkward. A paragraph may well equate to a month and will cover quite a number of topics at times. Equally some may find the fairly large number of characters hard to keep up with too. Readers of Jon McGregor’s work will be pleased with it I think.